Filmed at Sky’s studios, the presenter-led entertainment show is inspired by current trends and best loved content on Beano.com, from dance crazes and comedy skits to guest challenges and new cartoons. It's cleared the way for an ensuing bidding war over the 61 per cent chunk of Sky up for grabs between Fox and media conglomerate, Comcast. 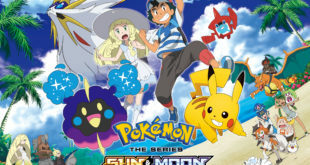 Both new partners have acquired multiple seasons and movies from Pokémon’s programming portfolio based on the popular video game franchise, significantly increasing the reach and availability of Pokémon in the UK.